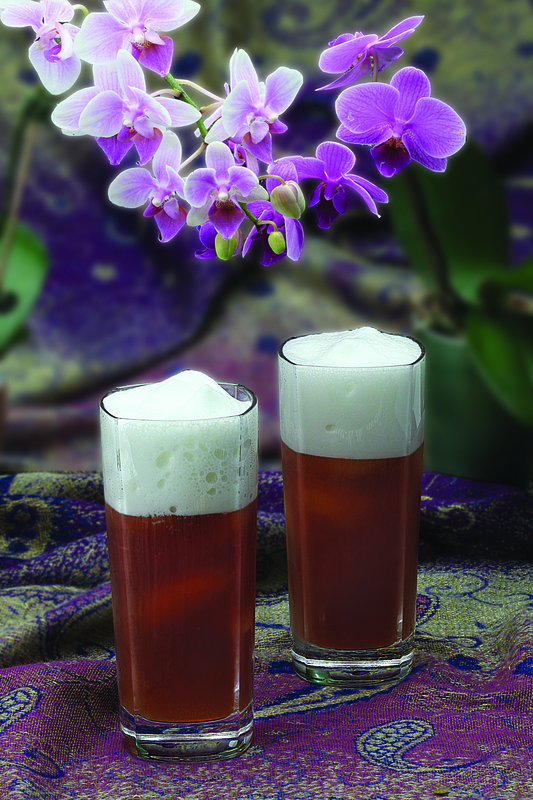 Your taste buds will be asking for more once you enjoy a sip of our Thai Iced Tea recipe. This sweet and scrumptious drink has the ideal balance of creamy and frothy milk layers, which add to its overall taste and appearance. 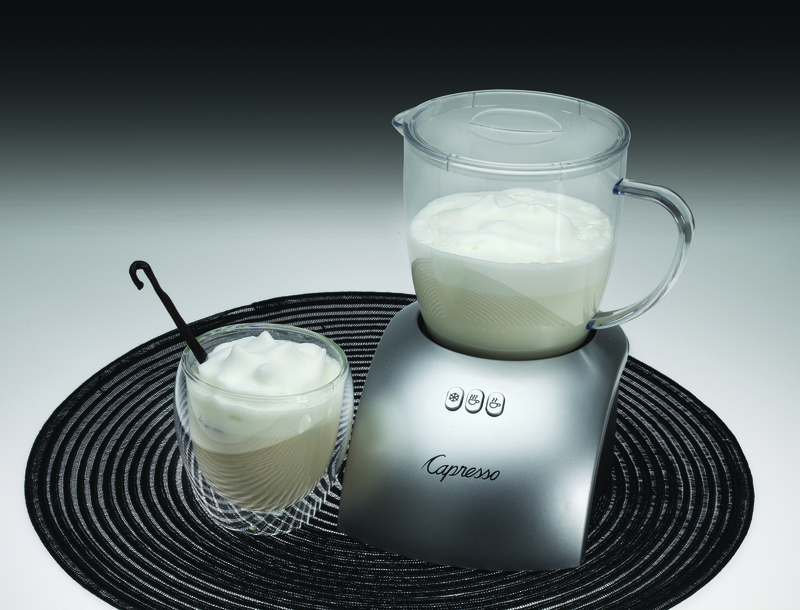 The perfect complement to a hot summer’s day, prepare one in just minutes with a Capresso froth PLUS. Place the frothing disk in your Capresso froth PLUS and ensure it is securely snapped inside the bottom of the frothing pitcher. Add non-fat milk to frothing pitcher and press Cold button. After two minutes, slowly add in sweetened condensed milk one tablespoon at a time. Replace lid and wait for frother to automatically shut off. Fill a glass with ice and pour iced tea two thirds of the way to the top. Pour frothed milk on top, stir well and serve. Love vanilla shakes but hate the calories? Try our Vanilla Froth recipe in the Capresso froth PLUS for a delicious low calorie treat that will satisfy your taste buds without any added fat. Place the frothing disk in your Capresso froth PLUS and ensure it is securely snapped inside the bottom of the frothing pitcher. Add milk to frothing pitcher and press Cold button. After two minutes, remove frother lid and add vanilla and sugar. Replace lid and wait for frother to automatically shut off. Pour into glasses and serve. This Father’s Day, enjoy a scoop of rich and creamy Grand Aroma Coffee Ice Cream with Dad. This recipe transforms his favorite drink into a cold and delicious summer treat, with the help of bold and flavorful Capresso Grand Aroma Coffee Beans. In a large bowl, pour the brewed Grand Aroma Coffee over the sugar to help dissolve the granules. Add heavy cream, milk and vanilla and mix well unit all sugar is dissolved. Alternatively, all ingredients can be placed in a blender to incorporate. If using an ice cream maker, follow the manufacturers’ instructions on use. If you do not have an ice cream maker, simply pour mixture into a freezer-safe baking dish or study bowl and place in the freezer. After 45 minutes, remove dish from freezer and stir vigorously with a spatula to break up any frozen sections. Return mixture to freezer. Repeat process every 30 minutes until the ice cream is completely frozen. It will take about 2-3 hours to reach the proper consistency. 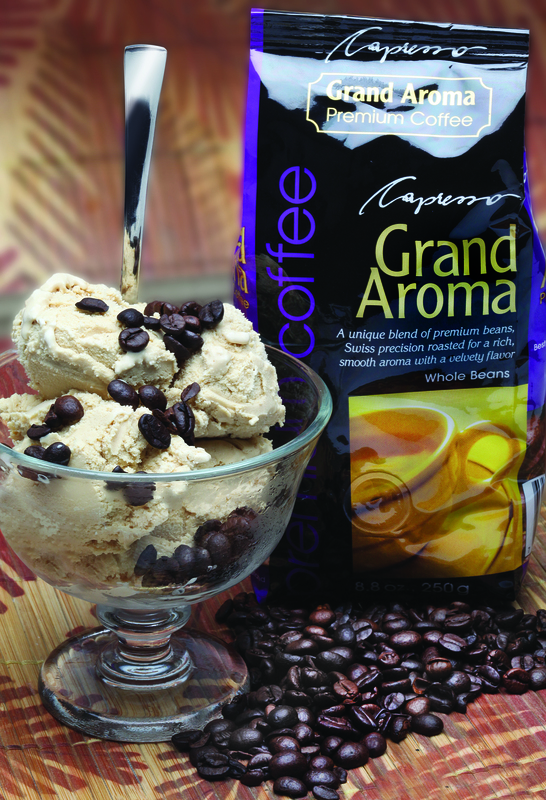 Enjoy your Capresso Grand Aroma Coffee Ice Cream with a shot of espresso or topped with crushed chocolate covered espresso beans. Style and taste are driving forces behind the new Capresso 12-Cup Stainless Steel Coffee Maker (SG120). This space-saving model offers a 24-hour programmable timer, GoldTone filter, and an Aroma setting to extract coffee’s fullest flavor. At just 6½ inches wide, its compact footprint saves space on the countertop. Designed to offer the best extraction of flavor and aroma, the Capresso SG120 brews up to 12 cups in less than 10 minutes. A multiple spray nozzle ensures that water is distributed evenly over the grounds, saturating them for maximum brewing quality. There’s no need to wait for your brew — the drip-stop feature gives you the ability to interrupt the brewing cycle to pour a cup, with no spills. For an extra flavor boost, the Aroma setting slows down the brewing process to maximize flavor. This is especially helpful to ensure that the best taste is extracted when brewing just a few cups at a time, and it can also enhance the flavor of a full pot. With the full stainless steel wrapped exterior the space-saving SG120 12-cup coffee maker is a beautiful addition to any modern kitchen. 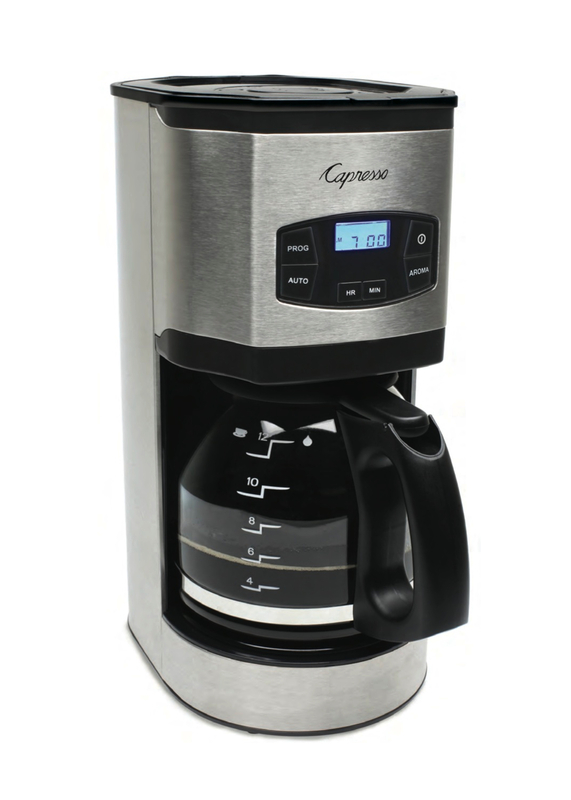 The newest model in the Capresso line of coffee makers, Capresso SG120 makes a perfect gift for Father’s Day. Click here to learn more and to check out other gift ideas for Dad.